Children below 1 year are not allowed inside Vadakkunnathan temple. Vadakkunathan! 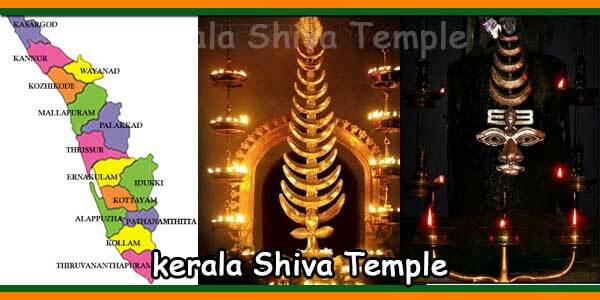 This is the name given to Shiva in the city of Thrissur, Kerala. 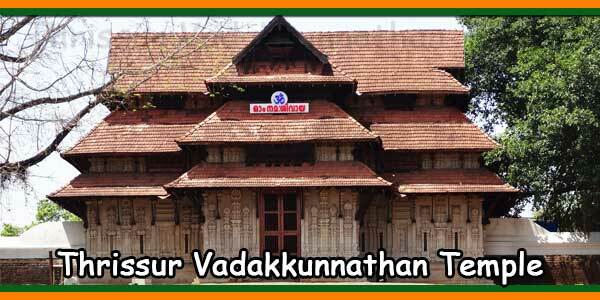 The Vadakkunnathan Temple is the first temple created by Lord Parasurama. The temple located in the heart of the city of Thrissur is surrounded by colossal stone walls on an area of about eight hectares. The four directions, east, west, north and south of the temple were indicated by four Gopurams located in the temple facilities. In the center of the temple, there is a complex with several enclaves, in addition to the four Gopurams. The three main sanctuaries of the temple were dedicated to Vadakkunatham or Lord Shiva, Lord Rama and Shankaranarayana. Lord Shiva, who, in the form of a hunter named Vettekkaran, is also worshipped in the Nalambalam area. 18.5 kg of Rice Naivedyam will be offered to Sree Vadakkunnathan everyday. The Pooram festival was introduced during the reign of Prince Rama Varma, known to Sakthan Thampuran during the year 1750 – 1805 AD. An ardent devotee of Lord Siva. He renovated this temple by creating a massive structure in a 10-acre complex. Works on the walls, 4 majestic Gopuras were built during his time. According to the legend established in Brahmanda Purana, Parasurama, who exterminated Kshatriyas 21 times, performed a Yajna for the relief of the Sins and gave all his lands to the Brahmins as Dakshina. He asked Lord Varuna deva the God of rain to throw a piece of land from the sea to retire and continue his penance. Varuna Deva gave him a winnow (surpa) that became a territory. Another version is Varuna ask Parasurama to throw the axe at the sea which has become a territory. Then Surparaka knew that it came from the word Surpa (winnow). Today it is Kerala according to the legends. Then he went to Mount Kailash and asked his guru, Lord Shiva, to make Kerala his home. At the request of his disciple, Siva with his wife Parvathi, Ganapathi, Subramanya Swamy and other Gana followed his disciple and disappeared after reaching Thrissur. Parasurama saw the Siva Linga self-managed under the huge Banyan tree. This is the first place where Lord Shiva manifested himself and known as Sri Mula Sthana. When the king of this region decided to build the temple, Yogathiripad (chief priest of the temple) protected this Linga by cutting the tree. The Siva Linga was then moved to the current location and a beautiful temple was built. The birth story of Adi Sankara is also associated with this temple. 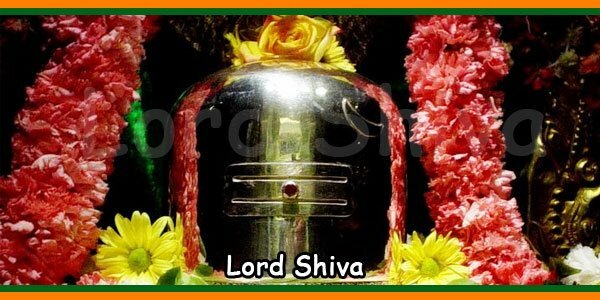 It is here that Lord Siva blessed the childless couple of a baby who lives shorter lives. Women: Saree with blouse, Punjabi Dress with Dupatta, Chudidhar with Dupatta and Half saree. 1) It is said that the amount of ghee that covers Shiva’s lingam means the home of the Lord and his goddess Parvati, who is Mount Kailash. 2) The ghee makes this one of only temples where the lingam is not visible. 3) There is a statue of Shankaranarayana, which imbibes both Lord Shiva and Lord Vishnu in one form. 4) This temple is said to be the spot where the parents of Adi Shankaracharya were blessed with the birth of a highly intelligent son with a short life. 5) The temple has got a certain order and method for the shrines to be visited and worshipped. 6) Among the breathtaking murals, Vasukishayana and Nrithanatha are given high importance. 7) Under the AMASR act, the temple has been declared a National Monument. Cochin International Airport is the nearest Airport at a distance of 53 km. Thrissur Railway station is the nearest which is just 3 km from Temple. Thrissur is well connected to all parts of Kerala, the main cities of Tamil Nadu and Karnataka.